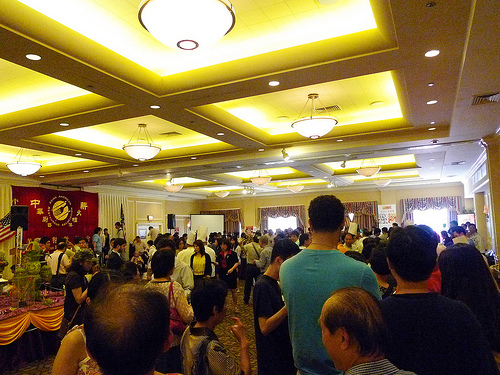 A couple weeks ago, I was invited to the Asian American Restaurant & Food Fairheld at the Sheraton in Flushing. I brought my friend Clara along for the tasty afternoon. 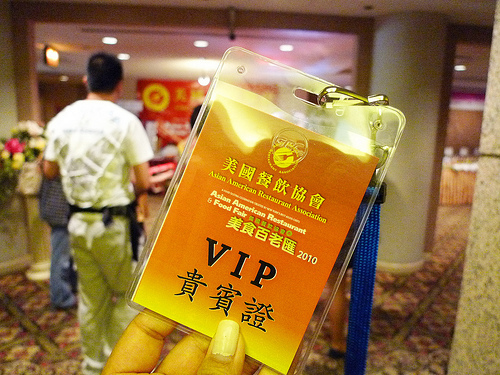 With our VIP passes at hand, we went off to an eating marathon. It was a super hot afternoon, thank goodness for icy cold green tea. It was pretty crowded, so we fought our way through, got our plates filled and tummies happy. The mushroom medley was satisfying enough I didn’t scream and demand red meat. 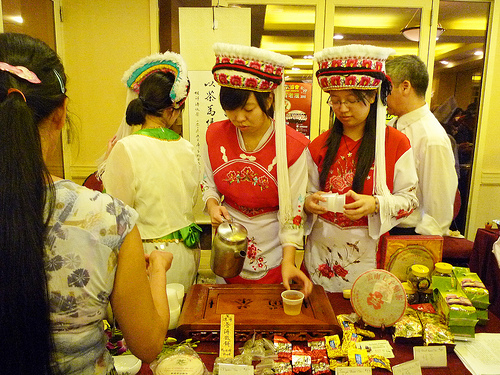 The presentation was pretty sweet too and who can resist bean curd strips? I know I can’t! Anyone else? I love vegetable dishes that offer lots of textures and this dish had just that. 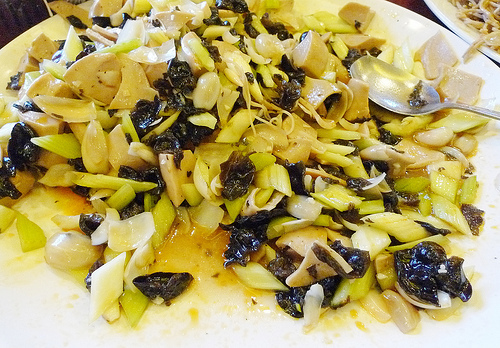 Crunchy and sweet lily buds, dried mushroom, celery and chinese glutenous product, tofu like that resembles meat in texture (offered in most Chinese Vegetarian restaurants). 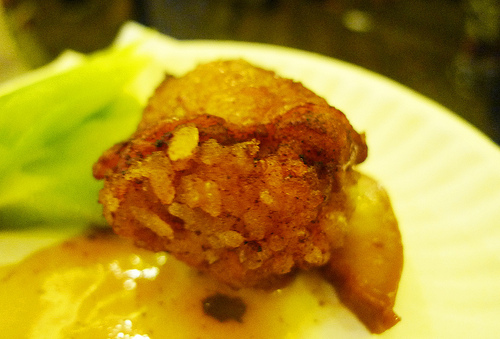 Boneless wings stuffed with sticky rice was sooo good. I can have these on any game day. Maybe I should start a new trend for this years Super Bowl party. The crunchy skin, juicy meat and soft rice made a tasty team. This was an interesting new find. I couldn’t really make the texture or flavor. It’s chewy and bouncy and crunchy at the same timea. 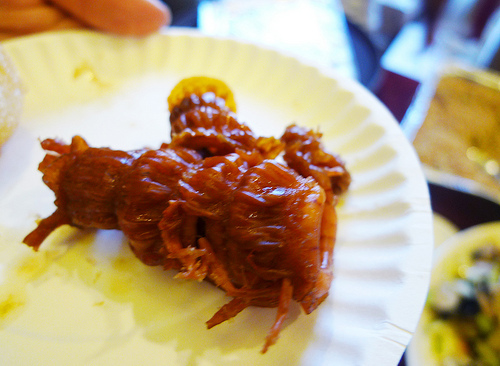 The chef told us it was some kind of squid (at least that’s what I understood from my limited Cantonese). Let’s just say I didn’t go back for seconds. Didn’t hate it, but it was no love either. If any of you know the name, please do share. 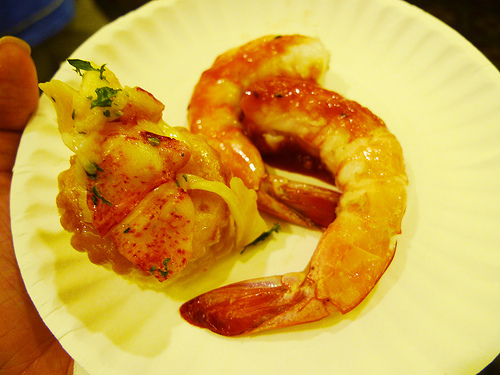 The lobster on a puff pastry cup was good, I suspect butter had something to do with it. 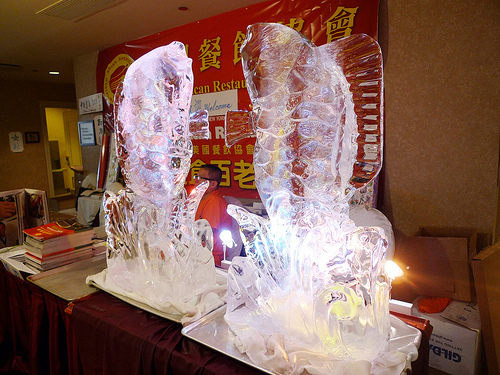 Thejelly fish salad was refreshingly perfect for the hot weather. Crunchy and oceany. 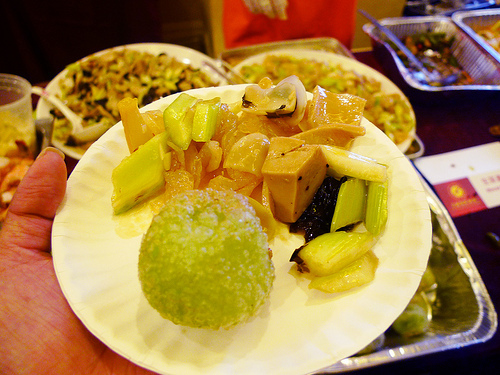 Loved, loved, loved the deep fried green mochi ball filled with black sesame. If it weren’t for all the other food I had to try, I would have stuffed my face with another one or two. 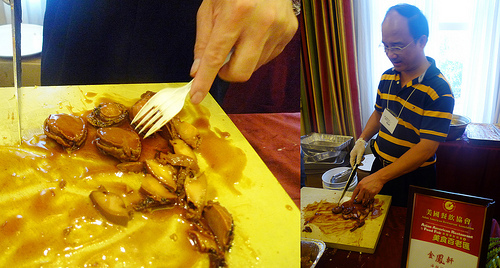 I was looking forward to the Peking Duck but was soon shattered by a mouth full of soft skin and greasy meat. 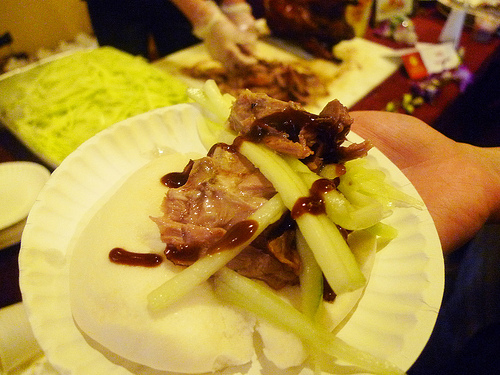 It was more like regular roast duck in a bun. 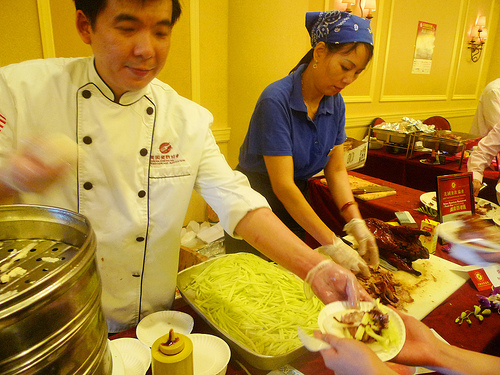 I know a Peking Duck when I taste one and this surely wasn’t it. Shark Fin Soup was umami in a broth. Not a whole lot of shark fin, but at least they tried. 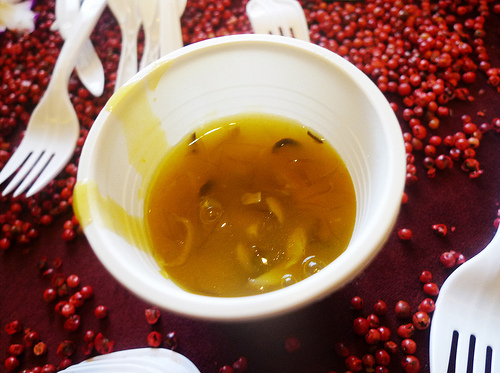 The chicken broth was filled with chinese ham flavor, while strings of crunchy shark fin swam next to bamboo and dried fungus. Please don’t get all Peta on me for enjoying this, I’m chinese and a food blogger, enough said. 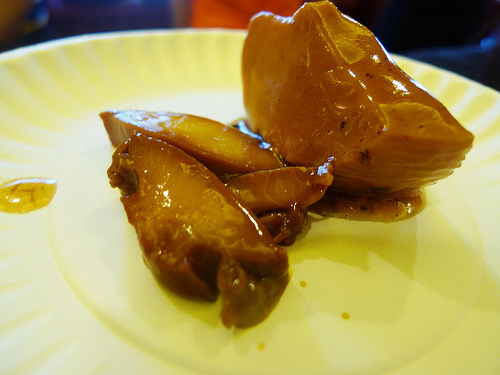 Everyone’s highlight was none other than Braised Abalone. It had the longest line and for a good reason, these babies are pricy and a special treat. These were tender and juicy, a mouth full of umami. Were these the best I’ve ever had? probably not, but then again, last time I had a whole one all to myself was a couple years ago and the tasty memories have been fading. 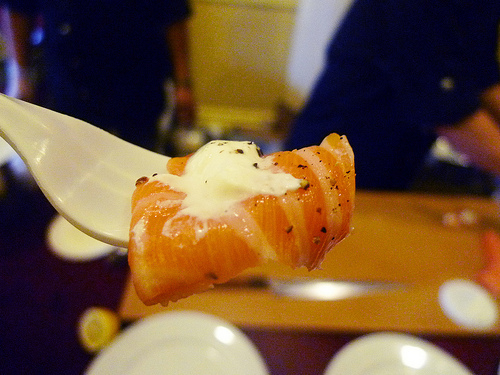 The most interesting thing I saw at the food fair was the Fresh Dill Smoked Salmon from Sato Restaurant. Check out the video at the DIY post and try it. You get the smokiness minus the sodium and it’s a super fun process, how genius! Went home with some condiments and Lee Kum Kee chopsticks. 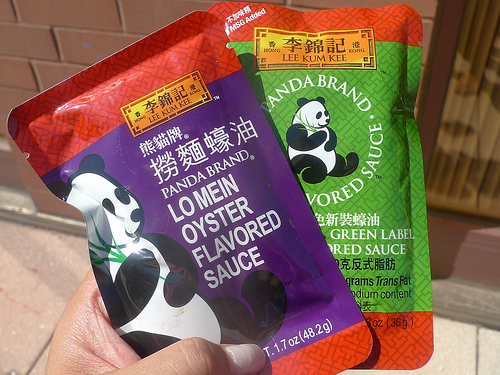 I can’t live without their garlic chilly sauce, and their famous oyster sauce of course. After the foie and wagyu sampling outdoors in the 90+ degree heat, we waved our white flags. 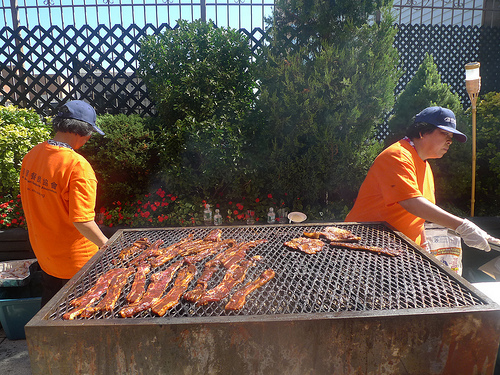 The BBQ meats looked really good, but my tummy was stuffed at this point. 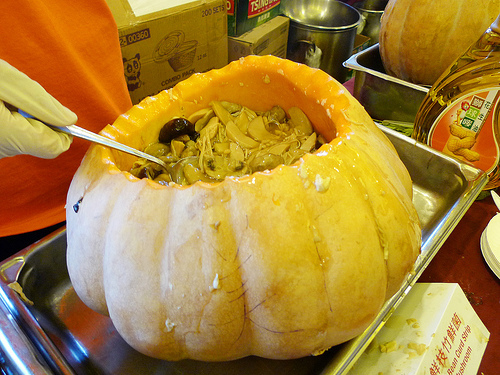 I had a fun and tasty time. 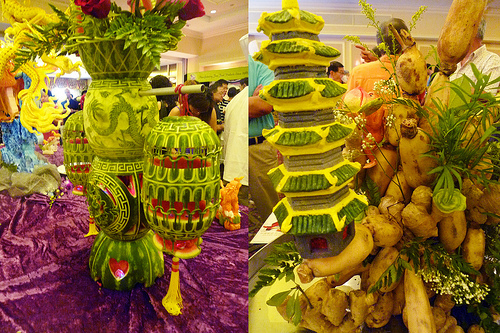 Aside from all the yummy food, there was also some eye candy. How creative is that? some peeps are just so talented.